Marshall McLuhan, the Canadian philosopher of communication theory who passed away 33 years ago, once stated: “Our Age of Anxiety is, in great part, the result of trying to do today’s job with yesterday’s tools and yesterday’s concepts.” I have been thinking about that quotation in relationship to employee engagement. 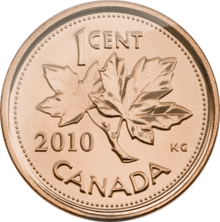 The Canadian penny is a currency of yesterday and is no longer being produced but I thought it fit here to offer my “two cents worth” on outdated engagement tools and concepts. Viewing engagement as something that is broken in need of fixing while failing to ensure that employee engagement benefits everyone. Using command and control to “get” engagement. Believing that we need a large scale program to move the dial on engagement. Using arcane surveys with untenable time gaps between measurement and communication of results. Thinking we can get a reliable and valid measure of engagement with a once a year or biannual measurement. Having senior management “retreat” to craft or develop organizational strategy. Telling rather than listening and not fully amplifying employee voice. Conceiving of employee disengagement as a punishable offence. Defining engagement as discretionary effort while failing to acknowledge all employee effort is discretionary. Squandering organizational resources on measurement to discover that engagement resembles a typical bell curve from very disengaged to very engaged. Giving vital organizational data away to large consultancies rather than using that data as the lifeblood and vibrant source of energy for the organization. Believing that we can ask people to do more and more without stopping other things. Failing to use mobile devices as an engagement tool. 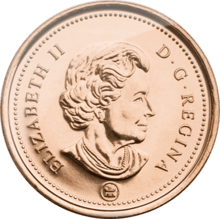 Treating engagement as another fad or bandwagon that we must jump on, giving it token efforts, and abandoning it just as quickly for the next fad. Attaching the word engagement too tightly to employee. Using anonymous approaches to increase engagement. Failing to weave performance into the way we approach and work with engagement. Perceiving engagement as a pizza party, a YouTube video, or a drink after work. Failing to provide needed education and training for people to act different with engaging approaches to work. A score of nineteen is an impossible score in the game of Cribbage. Are we making employee engagement impossible with a reliance on the above 19 antiquated tools and concepts? Do theses old tools and concepts make you anxious about the future of engagement or our organizations? What other antiquated tools or concepts would you add? In a future post I will outline contemporary tools and concepts for today’s employee engagement. This is a great list of antiquated practices- I believe many businesses are stuck in these employee engagement old ways and I look forward to reading the list of modern practices you suggest. Do you have any additional practices you would add? Your 19 points hit the nail on the head! Great job – you’ve got me interested in reading more! Thank you. I hope to use this as a tool to show management that times have changed and with that, so does the outlook of the communication in today’s workplace. Are you also in the LinkedIn site? Would love to keep up with your communications. I am writing about the constructive and contemporary approaches in the next 2 weeks.